Our Wedding Band Music cater’s for everyone both young and old. We have specially arranged our Music to suit you the Bride and Groom. Contact us Now if you are searching for a Top Class, High-Quality Wedding Band. The Band can entertain your guests with excellent music and fun. 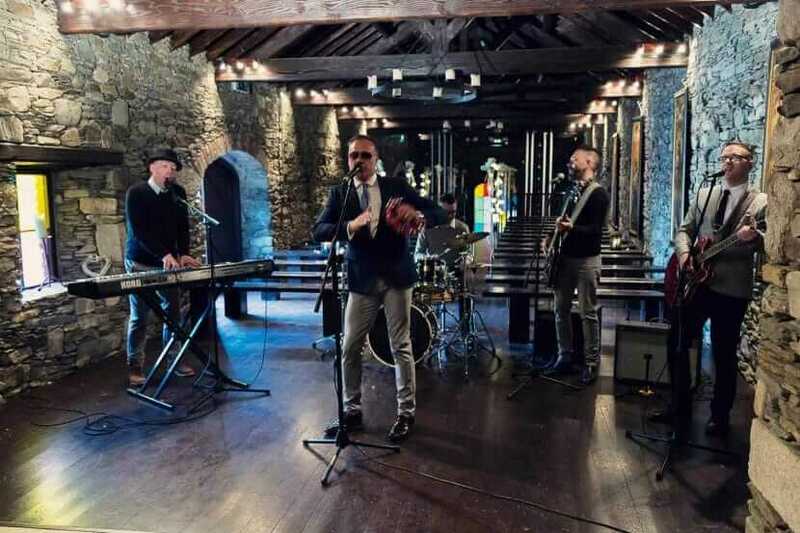 The Band is in demand exclusively at all of the top Wedding Hotels and Castles in the country. Regularly appearing from Castle Leslie in Co Monaghan to Dunloe Castle in Co Kerry. We have played every Castle on the Emerald Isle. The Jukebox Kings offer all of the services that you should expect from all professional Wedding Bands. A dedicated booking co-ordinator, Lorna who will handle all of your questions and concerns and will take you through the booking process. Lorna will manage all of your needs right through to your Big Day. A secured PayPal payment facility which is protected and guaranteed. A written contract /booking confirmation outlining our commitment and guarantee to provide our services. Regular showcase events where you will be invited to witness for yourself the Entertainment Quality of The Jukebox Kings. Regular updates via Twitter, Facebook featuring news and information on the activity of the Band. An onsite Manager at your chosen Venue on the day of your Wedding who will liaise with your Venue. He will ensure that the Band arrive on time and complete all special arrangements and requests. Timely and courteous correspondence and attention to detail. Clear and concise communication, interaction with you the client. Having had the pleasure of working with some of the top Wedding Bands in Ireland for over two decades. It gives me great pleasure every night to take to the stage with “The “most accomplished and dedicated Wedding Band on the scene today. Please enjoy our music videos, and read our 100% genuine Testimonials from our happily married and satisfied customers. Visit our Facebook page for up to date info and news and give us a like, please. The only Wedding Band Music you Need. Check out our short compilation video to see the diverse and varied selection of songs we play. Once you see The Jukebox Kings Video Compilation you will realize that we are the only Wedding Band you will want for your special day! We play rock anthems, soulful love songs and favourites from home-grown talent too.